Mandala Seeds was founded in January, 2004 by Mike & Jasmin. Their personal history is a mixture of adventure, travel, and a keen interest in studying, cultivating, and preserving cannabis and other shamanic healing plants. They have pioneered several unique breeding and seed production methods whose benefits are valued by growers world wide. Their seed bank is co-supervised by Jasmin, a biologist with work experience in the fields of horticulture and agriculture. Both of them not only share their extensive professional experience through creating and distributing the Mandala Seeds genetics, but we also regularly contribute articles on growing and cannabis botany in international publications and their website to promote greater awareness about ecological and effective cultivation methods. The aim of Mandala seed bank is to provide a consistent high level of quality genetics and seeds at a minimal price. Mandala Seeds believe in ‘green economics’ – an ideal based on mutual respect for humans and nature. Their business is therefore based on respect, honesty, transparency, and responsibility towards the customer. Capitalism focuses exclusively on the accumulation of wealth and a high profit margin and disregards any effects it’s policies has on society or the planet. It is a system that burns up human and ecological resources and gives very little back. 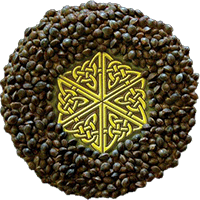 Mandala Seeds believe in participating in a natural cycle of growth; a reciprocal system that nurtures all vital sources for present and future generations, instead of depleting them to satisfy personal short-term desires. 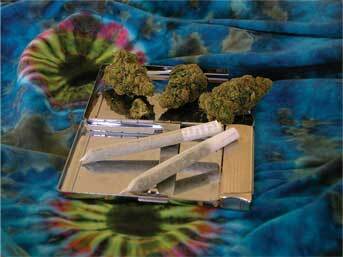 The spirit of ganja is the spirit of sharing. Whether you sit down together with friends or strangers, everyone partakes in sharing the pipe of peace that’s passed around. In a “normal” world healing plants such as cannabis would be accepted as the common heritage of humanity and grow freely as a natural part of the ecosystem. 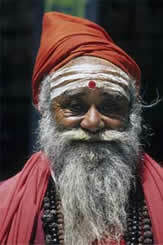 Examples of this wise understanding can still be found in the sacred traditions of India and Nepal. But, in contemporary society, cannabis is the object of intense political suppression and economic exploitation. Mandala Seeds felt it was high time to remind society that everyone deserves the opportunity to enjoy the benefits of cannabis – a valuable gift of millions of years of evolution. This begins with the basic right that you should be able to afford to grow quality cannabis regardless of your status of income. Their price-quality policy is unique in the cannabis seed industry. The price does not reflect the quality of the product; it reflects their aim to support the cannabis community economically and morally as best possible. It is also part of Mandala Seeds contribution to preserving cannabis as a plant species in times of fierce global political & judicial persecution. A worldwide network of cultivators guarantees that cannabis will be preserved for future generations. Generations that will hopefully make wiser decisions about life on this planet! Diversity and vigour is important to preserve the overall health and resistance of plants. In nature only the most adaptable and fittest species survive. Yet these traits have been lost in many modern cannabis strains since the 1970’s due to shortsighted commercial interests. At Mandala Seeds it is one of their objectives to revitalize the gene pool by introducing robust strains and varieties that contain the beneficial effects of land race genetics. In addition, This seed bank specializes in a unique seed production method which they pioneered that focuses on quality rather than quantity. 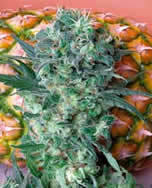 The post-production quality control of mandala seeds is also the highest in the business. Since the introduction of theirs strains growers world wide have come to appreciate the easy management, fast growth, high yields, and robustness of Mandala plants. You can save time, work, and money by growing a strain that forgives mistakes and can express it’s potential for growth and flowering under basic conditions. We will put a lot of Mandala strains in review because they have a lot of very good strain like Satori, Kalichakra, Mandala one or Fruitylicious.